Not only is today Mary Higgins Clarke's Birthday, but in 1816, Joseph Mohr wrote the poem, Silent Night (it was set to music by Franz Xaver Gruber in 1818). When Catherine Dornan's husband, Tom, is diagnosed with leukemia, she and their two young sons travel with him to New York during the holiday season for a lifesaving operation. 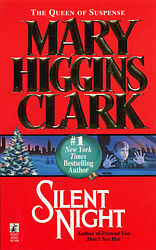 On Christmas Eve, hoping to lift the boys' spirits, Catherine takes them to see Rockefeller Center's famous Christmas tree; while there, seven-year-old Brian notices a woman taking his mother's wallet. A St. Christopher medal tucked inside the wallet saved his grandfather's life in World War II, and Brian believes with all his heart that it will protect his father now. 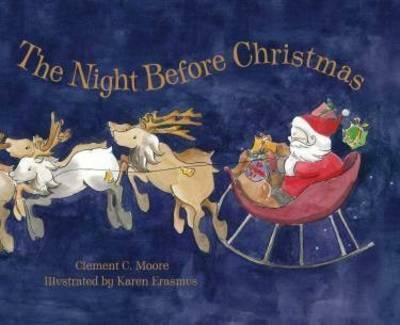 Impulsively, Brian follows the thief into the subway, and the most dangerous adventure of his young life begins. . . .
And everyone’s favourite “A night before Christmas” by Clement Moore; illustrated by Karen Erasmus. Clement Clarke Moore's The Night Before Christmas is featured here in its original form, beautifully illustrated with Australian-centric watercolour images. There's a Hills Hoist, a possum or two, and everything else you'd expect to find in an Australian backyard.